Dragon Quest & Final Fantasy in Itadaki Street Special is a board game similar to Monopoly. The game runs fine but the board is only showing up as black shadows. I've kept all plugin configurations to their defaults, except for switching OpenGL to DirectX 11 in GSdx and mapping controls for my keyboard. 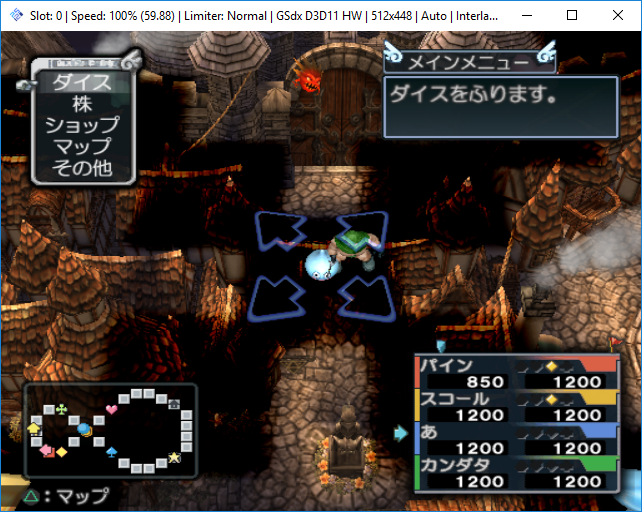 I found that using the graphics plugin ZeroGS 0.97.1 with "Disable alpha testing" works, but I'd prefer using GSdx since it's way newer, doesn't crash when going out of fullscreen, and allows you to increase the internal resolution. How can I get the game running smoothly with GSdx? Thanks for any help! Can you post a GS Dump of the issue? But does it work with openGL (latest git) ? 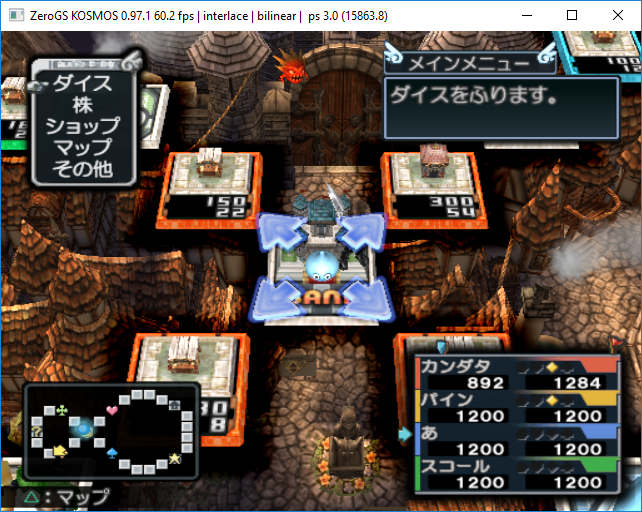 On linux, I load the GSdx ini file before the dump replay so I can test option impact very easily. Could you do the same on windows ? Hum do you have the bug in GSdx SW renderer ? (07-03-2016, 09:32 AM)gregory Wrote: But does it work with openGL (latest git) ? Yes, but isn't it just as easy to use the GUI? After trying the dump and reading some more about this game/issue, it seems this issue does also apply to the SW renderer. You mean the gsdump gui, I don't have it on linux. So I don't know what you can do. The dump is bad on SW renderer. It could happen when EE read GS data to send them back to the GS. But in this case, dump will be correct if generated by the SW renderer. If it is bad on the SW renderer, it could be a rounding issue on the core. (07-03-2016, 02:49 PM)gregory Wrote: You mean the gsdump gui, I don't have it on linux. So I don't know what you can do. 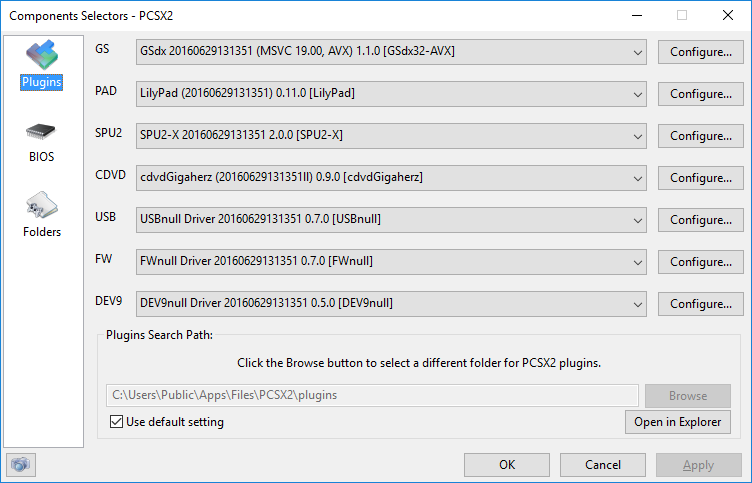 No, I meant the normal GSdx Video Plugin settings menu from PCSX2. You can just use that for GS Dumps on Windows. According to previous discussions about this game, it's also bad on the SW renderer. Should I make another GS Dump with OpenGL? (07-03-2016, 12:23 PM)gregory Wrote: Hum do you have the bug in GSdx SW renderer ?